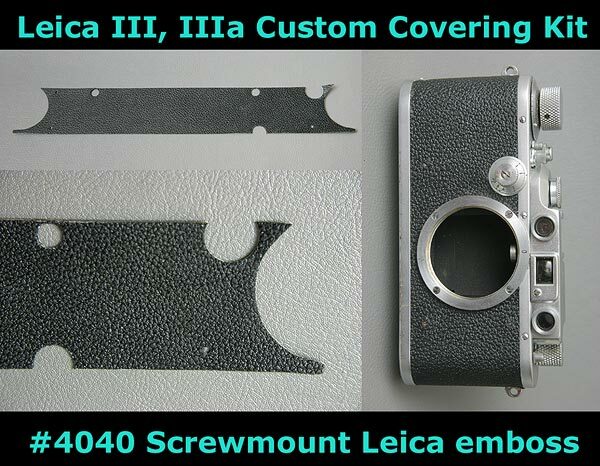 This is Custom covering kit for LEICA III, IIIa. (The parts are not supplied by LEITZ). The sample photo shown above is #4040 ScrewMount LEICA emboss (composite leather made). #The 4040 ScrewMount LEICA emboss Leatherette surface is rather similar to the original vulcanite. Having Self adhesion property, so do not need glue for applying it on the camera. For #4040 ScrewMount Leatherette, Click Here. 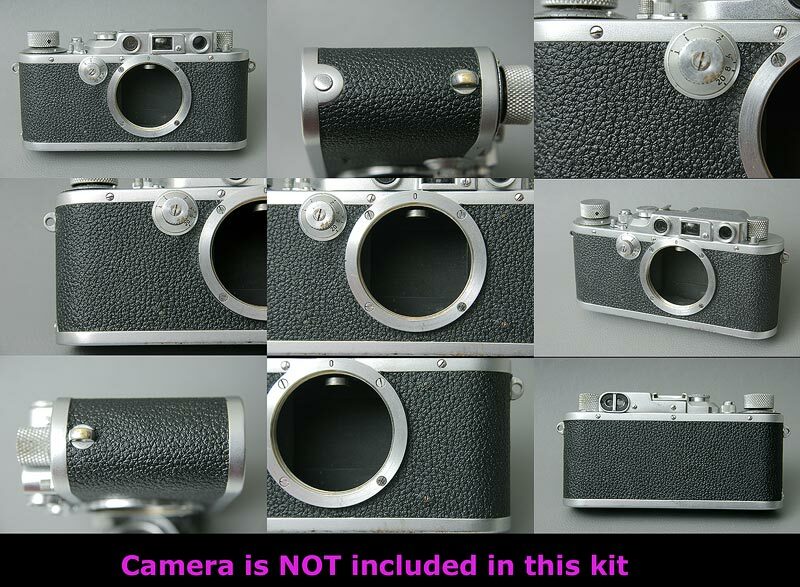 This kit fit to Leica III, IIIa , does NOT fit to IIIc,IIIf. Please confirm your Leica's shape around the slow speed dial. This kit fits to the shape around the slow speed dial one as shown below. This kit does NOT fit to the shape around the slow speed dial one as shown below.